Takwin \tahk - ween\ -n: Genesis or start. The beginning of anything. Coming into being. Indicating generation or development. “Takwin is a venture capital fund that partners with high potential Arab entrepreneurs to build global leading high-tech companies”. The brief was to create a startup hub a communal working space in the heart of the Haifa bay area. The bay area is currently undergoing wide scale urban re-gentrification. 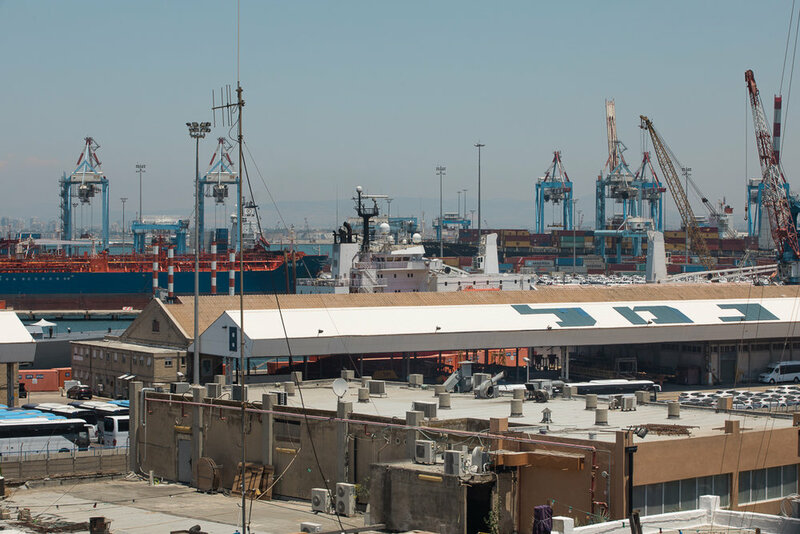 This includes redevelopment projects, infrastructural projects, transport and markets. The site is centrally located within this redevelopment area. 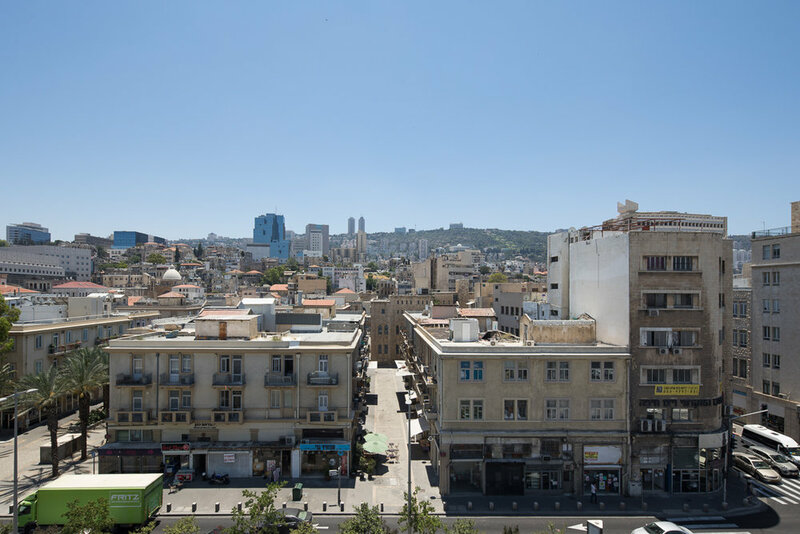 Takwin serves both as a physical working space and a community for Israeli Arab startups. It has helped foster social networks that would allow the participants to bring their concepts to fruition. The offices are set within an existing industrial bauhaus building on a rounded corner plot. 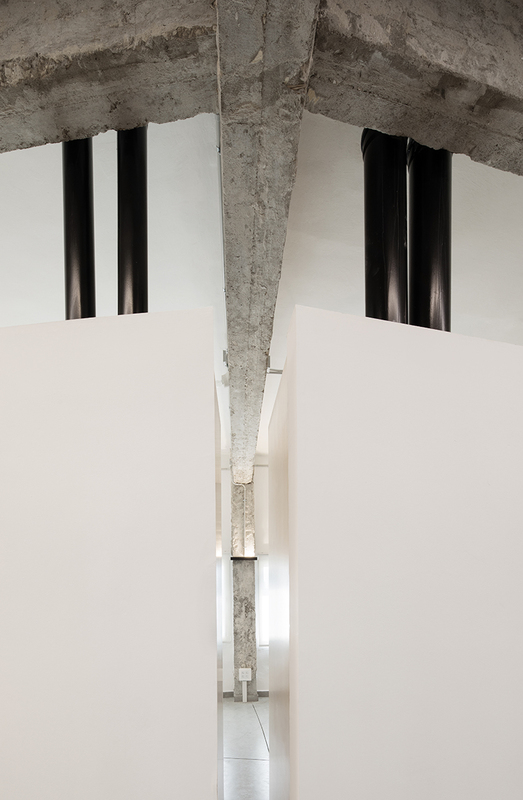 There is a strong radial structural grid of existing beams and columns that define the space. The shared space becomes a point of interaction between the various companies. A space where ideas are conceived and personal relationships formed. Our goal was to create 6 unique working spaces and shared communal spaces for the teams that would inhabit the space. The spaces could grow or shrink to allow for the teams to expand naturally. Our intervention in the space subdivided the rooms using the existing grid to partition the space. The new walls that were introduced are positioned at the center of the existing beams. The glass allows for transparency and maintains both views and natural light throughout the space. 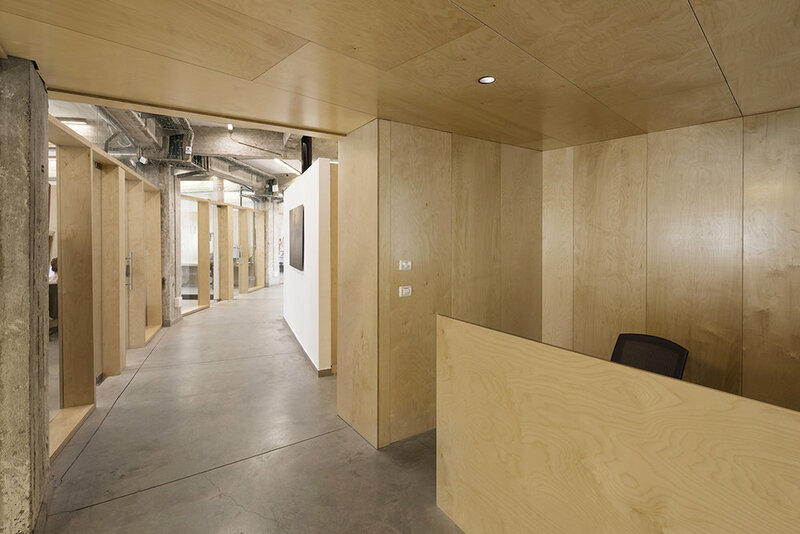 The materiality of the space is exposed concrete, concrete floor and birch plywood and glass partitions. The ceiling is white and the exposed piping painted black.